Octopus 3.4 introduces the concept of machine policies. Machine policies allow the automatic deletion of unavailable machines after a configurable time period has elapsed. In Octopus land (deep under the sea) we use the term deployment target to describe the types of things that can be deployed to. They might be Tentacles, SSH endpoints, Offline Drops or Cloud Regions. In the past we had Azure related deployment targets. The functionality in machine policies does not make sense for some deployment targets so we have decided on the word machine to identify the subset of deployment targets where the functionality does make sense. 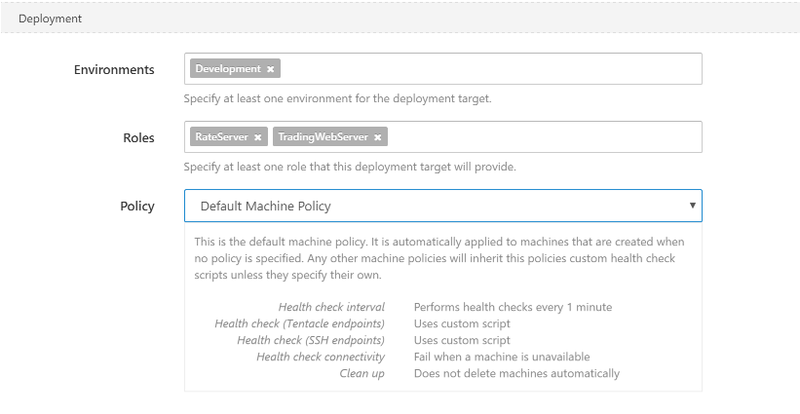 At the moment machine policies are most applicable to Tentacle and SSH deployment targets. Small-scale and long-lived infrastructure is easily managed in Octopus without machine policies. If there are only two Tentacles registered with Octopus or the lifetime of a Tentacle is a few years it is not much of a burden to remove the Tentacle from Octopus when a piece of infrastructure is terminated. As scale increases and lifetime decreases it becomes increasingly difficult to manage machines in Octopus. 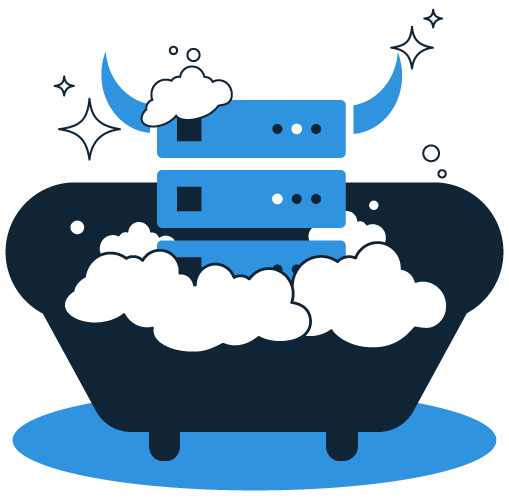 Consider auto-scaling infrastructure where hundreds of machines are provisioned and terminated throughout the day. This scenario quickly becomes a nightmare attempting to keep Octopus in sync with changes to the underlying infrastructure. By using machine policies, Octopus can be configured to automatically remove machines when the infrastructure is terminated. Now machines that are assigned this machine policy will be permanently deleted when they are unavailable for the specified number of hours. If a machine is created and a machine policy has not been specified, the machine will be assigned the default machine policy. Machine clean up uses the result of health checks as the criteria to determine if a machine should be deleted. When a machine's health is taken and Octopus is unable to contact the machine, its health status will become Unavailable. Octopus checks Unavailable machines every 5 minutes to determine machines that should be deleted. If a machine's machine policy has been configured to automatically delete Unavailable machines and the machine has been Unavailable for longer than the time specified in the machine policy, it will be permanently deleted from Octopus. Octopus will only delete enabled machines, so disable a machine if it is going offline and it should not be deleted. Learn more about automatically deleting machines from our guide on cleaning up environments. Explore machine policies with our in-depth documentation or get in touch if you have comments, suggestions or just want to say "hi".